In brief: Welcome Oxido to the hood! We're pretty excited about the real quality stuff going into their burritos and rice bowls. Yay. 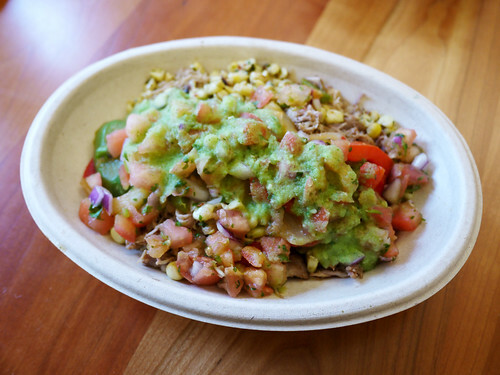 Oxido, what is being called modern Mexican in a fast casual format, opened just last week to longish lines and a cheery, ruthlessly efficient staff. M. had the bowl, I tried a burrito and we were both quite taken with the meal. Fast casual yes, but not fast with the taste buds. Everything feels fresh and well considered. We're early fans!